In Forza Horizon 3, the ninth installment in the Forza racing video game series, there is a wide variety of vehicles to choose from. These vehicles can be customized and modified not only to your personal taste but also to your style. 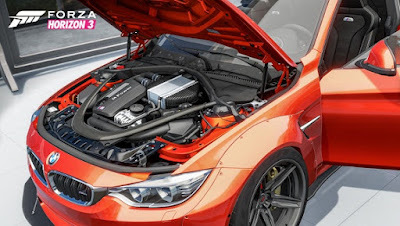 In this guide we will show you how to tune your car and give you some useful tips on the upgrades. Upgrades cost you credits. If you have not earned many, then you should keep your upgrades to the minimum and only optimize the most important. The tuning options are not limited to optical upgrades. Before each race you choose from various details that you can adjust. Upgrades are new components that can be installed in a car. If you want to hit it, there is the option for Automatic Upgrades. This game takes care of the rest and makes changes to your car. This is particularly helpful when you are looking for a new racing class. To upgrade or find your tuning possibilities, you have to drive one of your festivals and then go to the garage. You can purchase new parts by individual upgrade. To save you time, you can create setups for each car which can then be selected and loaded before an event. Look for a balanced upgrade and see your car rating. If your class has just increased from A 899 to S1 901, the new events for the race class may be too strong for your car. If you want to exploit the full potential you should be close to the next class. - Drive and chassis / suspension: With these tuning possibilities you change the driving behavior and the weight of the car. Stabilizers are, for example, a good option to improve the behavior in the curve. Reduces the weight if you want to increase your acceleration enormously and wish for a stable handling. But if you reduce the weight reduction too much, you may slip into a class that you don’t want to reach. We also recommend installing new brakes for each car. - Engine: Important tuning elements are the exhaust systems or the turbocharger. If you want to increase your speed, you should buy the racing valves and cam. The racing engine block ensures that your speed gets an additional boost. - Drive: Here you choose your optimal transmission. Decide for a sports or racing gear to speed up and improve all areas of your car. The racing drive shaft provides even more positive effects on everything. It also reduces the weight. - Aerodynamics and Optics: In this category you can change the appearance of your car. But you have to decide whether the optics or the performance is in the foreground. All tuning options here also change the performance of your vehicle. Rear spoilers and front aprons (Front and Rear Wings) give you a small handling upgrade. - Tires and rims: The upgrades here give you quick help for little money. Decide for sports or racing tires, to ensure with a few credits a much better ground adhesion. This also increases the speed and acceleration characteristics. The new tires are recommended for every car. However, the Halo Warthog is excluded from this as well as off-road racers. If you don’t want to redesign the exterior of your car, you can also opt for pre-made stickers and setups from other players. This saves you more time for important things like events. Look also at the Auto upgrade / tuning, which you find in your workshop. This feature is designed to help you not spend thousands of credits on a car, and then see what tuning items are available. There are also special tuning possibilities from well-known companies such as Rocket Bunny, which you can also buy here. Once the parts are attached, you can paint them afterwards to fit the rest of the car.